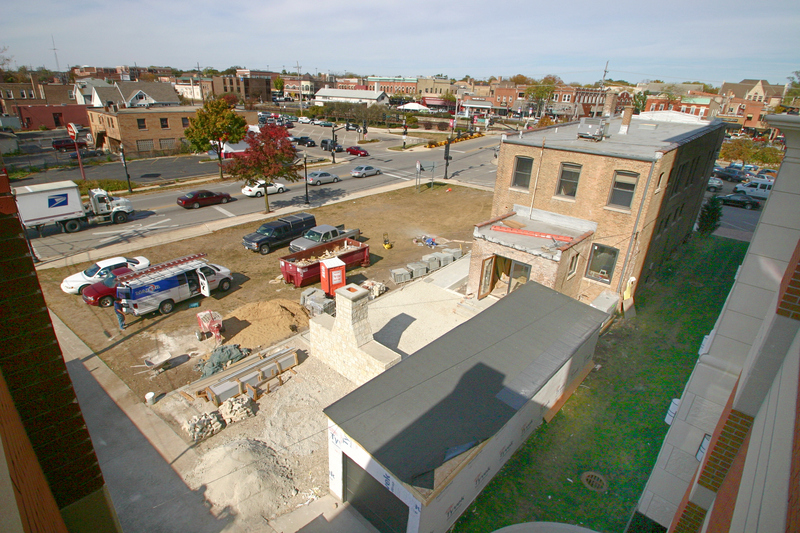 Construction continues on our adaptive reuse project in downtown Wheaton. This structure began its life over 100 years ago as a farm implement showroom, an indication of what was an agricultural Wheaton. Most recently it was occupied by a retail florist with two upstairs apartments. Our plans call for re-occupancy classification to office space for a financial company. Plans include an exterior walled bluestone patio with a wood burning masonry fireplace, new electrical mechanical and plumbing systems, an emergency power generator and private parking in an expanded garage. 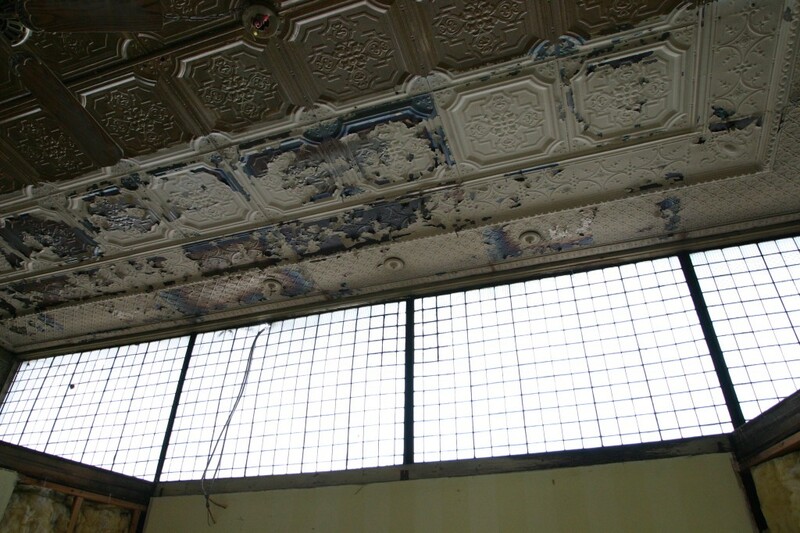 Interior spaces will include the restoration of the original hardwood floors as well as the recently uncovered original tin ceiling and leaded glass windows. The facility will also become ADA compliant with the addition of a ramp and new restrooms. 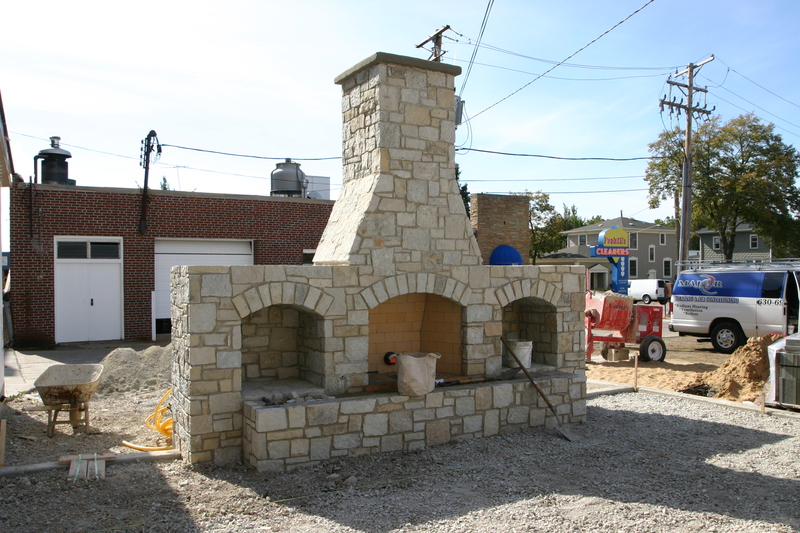 Amenities for employees will also include a handcrafted kitchen by Hummingbird Woodworks of Glen Ellyn. Construction is expected to wrap up before December.